Chandler James Jones was born on the 27th of February 1990 in Rochester, New York. He had his high school education at Union-Endicott High School, New York where he played both as a defensive end and as a tight end. In his senior year, he recorded 75 tackles, seven sacks, two forced fumbles, three fumble recoveries, and earned first-team All-State and All-Metro honors. In addition, Scout.com and Super Prep rated him amongst the top 15 prospects in the state of New York. Chandler Jones had his college education at Syracuse University where he spent a total of four years (2008 to 2011). He redshirted in his first year and as such did not see much game time. Starting from his second year, he was handed more playing opportunities and he lived up to expectations. In 12 games (out of which he started eight), he recorded 52 tackles, 10 tackles for loss, and 1.5 sacks. For his third year, Chandler Jones was handed a start in all 13 games and he returned an impressive 57 tackles, 9.5 tackles for loss, four sacks, three forced fumbles, and a fumble recovery. In his final year of college football, Jones got limited game time due to injuries but he still amassed a commendable 38 tackles, 7.5 tackles for loss, a career-best 4.5 sacks, two forced fumbles, and an interception. He consequently received the first-team All-Big East honor. 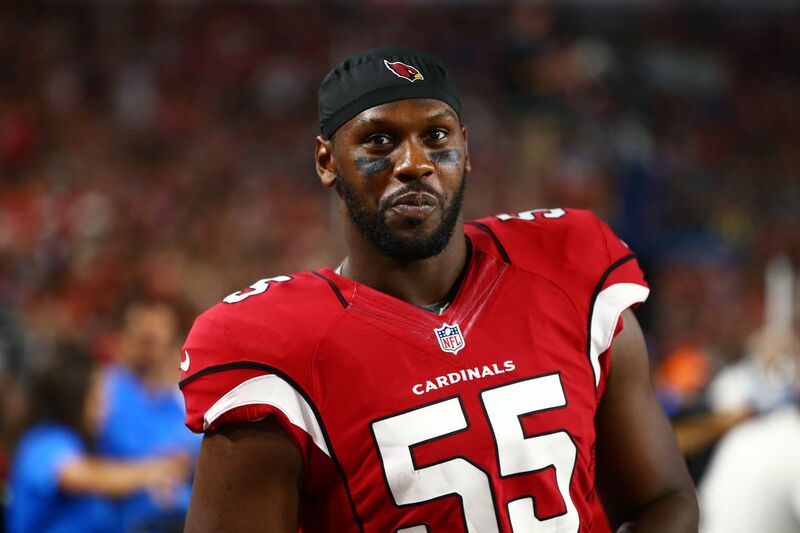 Chandler Jones decided to forgo his last year of college football and enter the 2012 NFL draft. He was picked in the first round by the New England Patriots who signed him to a four-year contract. In his rookie season with the Patriots, he appeared in 14 games (13 starts) and totaled 48 tackles, six sacks, five passes defensed, and three forced fumbles. For his second season, Jones started all 16 games and had a career-best 82 tackles, 11.5 sacks, one forced fumble, a fumble recovery for a touchdown, and a blocked field goal. He thus became the first Patriots player since 1993/1994 to post five or more sacks in each of his first two seasons. In his third season, Chandler Jones played a key role as his team went all the way to win super bowl XLIX after defeating the Seattle Hawks. In his fourth and final season with the Patriots, Jones notched 44 tackles, 12.5 sacks, four forced fumbles, one pass defensed, as well as his first career interception. His 12.5 sacks was the fifth highest in the league and he was named to the Pro Bowl for the first time. After four eventful years, the Patriots traded Jones to the Arizona Cardinals. In two seasons with the Cardinals (2016 and 2017), Jones has recorded 125 tackles, 46 tackles for loss, 28.0 sacks, 60 QB hits, 29 QB pressures, six forced fumbles, two fumble recoveries, and five passes defensed. In his second season with the Cardinals, he did not only led the NFL in sacks (17) but also in tackles for loss (28) and QB hits (38). His heroics earned him another Pro Bowl selection. He was also named a first-team All-Pro by AP, PFWA, and Sporting News. Chandler Jones is reportedly worth $7 million. His major source of income has been his career earnings over the years. In his 7 years in the NFL, he has earned a whopping $50,470,000. Following an impressive outing in his first season with the Cardinals, they rewarded him with a huge five-year, $82 million deal. The contract includes $15 million in signing bonus and $51 million in guaranteed money. Chandler Jones comes from a family of six. It includes dad Arthur Jones Jr., mom Camille Jones (who passed away in 2017) and a sister, Carmen who is also late. The Jones’ family has been variously described as the toughest family in sports as well as the most athletic family of this generation. The reason for this is not farfetched as Chandler Jones and his brothers are all elite athletes. His eldest brother, Arthur Jones III is a former NFL defensive end. He played college football at Syracuse and was drafted into the league in 2010. He played for various teams including the Washington Redskins, Indianapolis Colts, and Baltimore Ravens. He won Super Bowl XLVII with the Ravens in 2012 and retired from professional football in 2017. 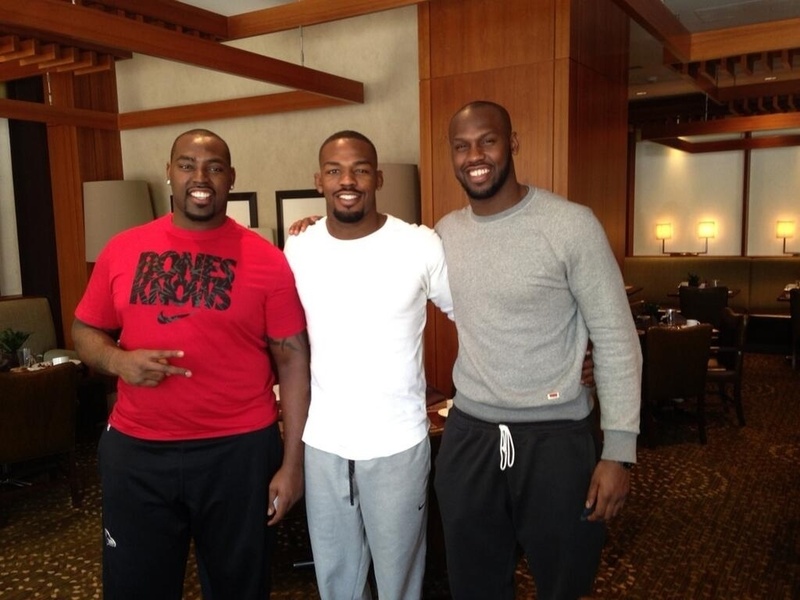 Chandler Jones’ immediate elder brother, Jon “Bones” Jones is a professional mixed martial artist who is currently signed to the UFC. He won his first UFC championship in 2011 at the age of 23, becoming the youngest champion since the UFC instituted weight classes. This Jones has a 20-1 career record. His lone defeat was a controversial disqualification largely regarded as a bad referee decision. Chandler Jones is currently in a relationship even though the lady’s identity is not known at the moment. In an interview in June 2018, Jones said that he would be relying on his girlfriend to bring him food when the team goes into training camp. You can trust that we will update you once the relationship goes public.